Scientists throughout the world create hybrid varieties of wheat in order to combat a number of problems. Among these problems are overpopulation, global warming and extreme weather. Hybrid species designed for the purpose of creating consistent and quality crops are developed by encouraging aspects of existing species that make the plant ideal for growing under certain conditions. Hybridization of wheat has its roots in the early 20th century and is still pursued. Common wheat (Triticum aestivum) is a North American species that is native to all of the United States other than North Dakota. The plant is used to create hardy hybrid wheat. According to an article by AgriPro Seed scientist R. Burns and University of Nebraska professor C.J. Peterson, common wheat hybrids exhibit high grain yield, but not obvious economic benefits. Hybrid species of common wheat are developed in an attempt to create a single species that is suited to growth in the warmth of the lower plains states and extreme winters of the northern plains states. Hybrid species include Triticum aestivum x Agropyron, Triticum aestivum x Elytrigia, and Triticum aestivum x Secale. 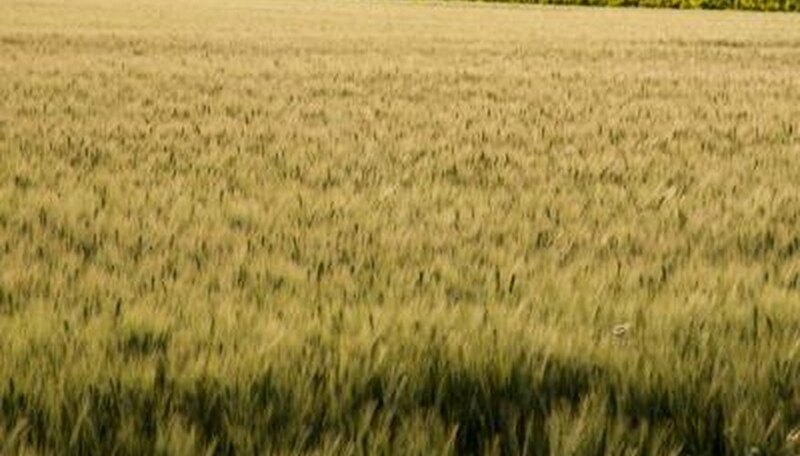 In 2009, the Indian Agricultural Research Institute began an initiative to develop new hybrid varieties of wheat for growth in central and eastern regions of the nation. The goals of the initiate are to design successful high-yield commercial bread wheat cultivars that are suited to withstand increased temperatures and humidity brought on by global warming while providing sufficient product to meet the overwhelming food needs of India's billion-plus citizens. Hybrids are also being developed to resist stem rust. As of November 2009, one such new species, variety Malva Kranti, had been developed. Barley wheat hybrids are new species created by combining the genetics of two different types of grain plants. Scientists from the University of California Davis say that the benefits of such a hybrid species is that it can be created to resist certain diseases known to indiscriminately decimate wheat, barley and oat crops. One such disease is BYVD, which is transmitted by aphids. Volume 7 of the Barley Genetics Newsletter reported that researchers from the Ottawa Research Station of the Central Experimental Farm were able to create a successful hybrid of Betzes barley and Chinese Spring wheat.